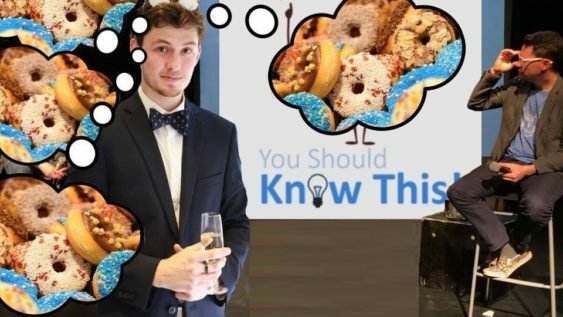 Starfish Mission is excited to present “You Should Know This”, a comedy show for nerds. It is like a TedTalk meets a game show. Listen to experts discuss important topics while comedians riff on stage and you get the chance to win fun, silly prizes for being a nerd. On November 9th, Zane Witherspoon, sometimes known as DJ Eth Ledger, CTO of Dispatch Labs and lover of donuts, will be the guest speaker and will be joined by host Kevin Whittinghill and some of the Bay Area’s funniest comedians. Come out for a night of crypto and comedy. This event will follow Starfish Mission’s Galactic Blockchain Happy Hour. Arrive early for drinks, snacks, and networking. Starfish Mission is a pioneering hub for the blockchain community – founded by the Starfish Network. We are dedicated to creating spaces and learning opportunities for the community which inspires us; to change commerce, communication, and governance, effectively upgrading the operating system of our world. The event is FREE but requires RSVP.